It seems like everybody is confessing something these days. Shopaholics, Teenage Drama Queens, Dangerous Minds, heck even Usher’s confessing things. With the confession space being so crowded, why keep record of my barista confessions? The answer to this question is twofold. Firstly, I jot these anecdotes down for my own catharsis. Secondly, I think you (the reader) will get enjoyment out of these little tales. 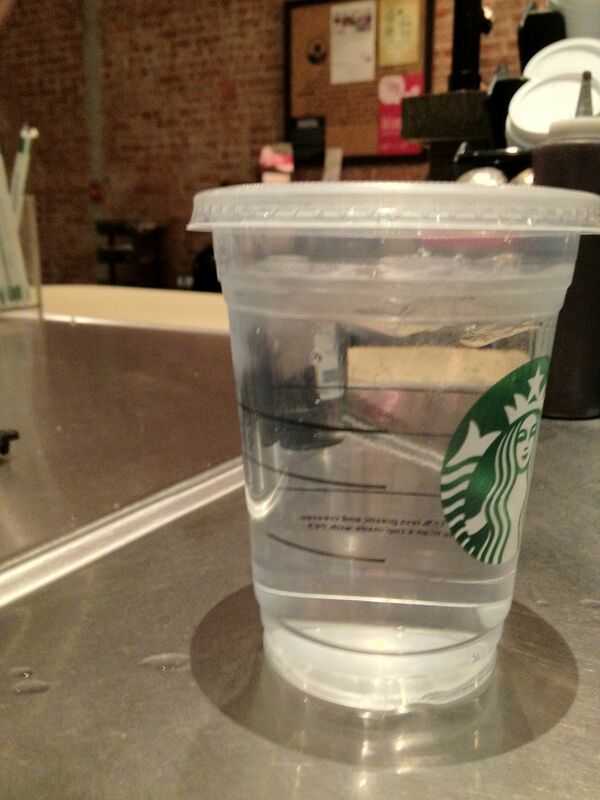 So without further ado, may I present the first confession of a Starbucks Barista. Towards the later part of a Saturday night shift, it is not uncommon to have the vast majority of guests ask for water. 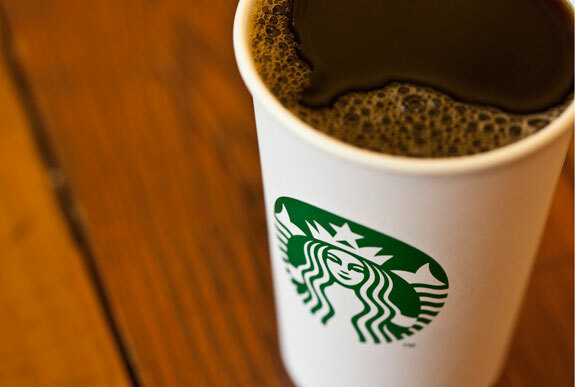 My Starbucks is located near a thriving nightlife area known as Old Town Pasadena, and many of the bar-hopping out-of-towners swing into my store to get glasses of water in hopes of stabilizing their inebriated state. 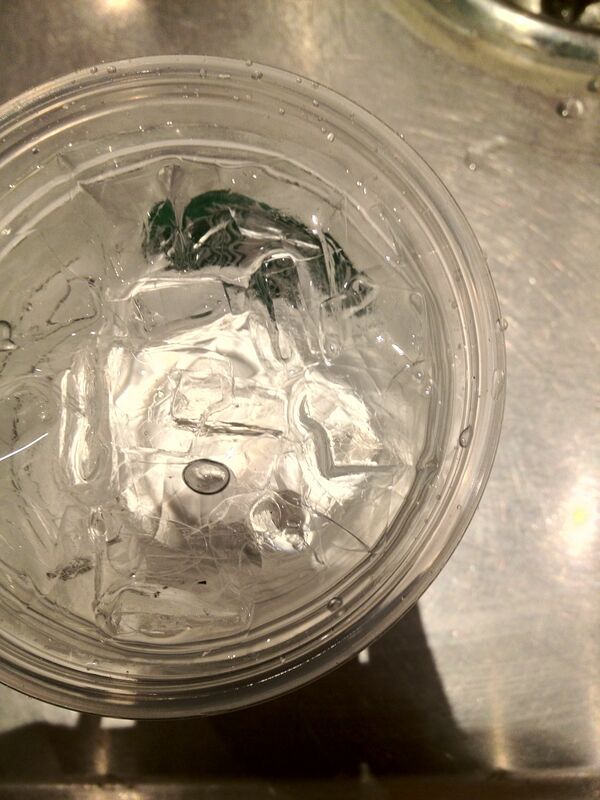 Thus I was unsurprised when a twenty-something girl with dark hair and loose, flowy pants asked for a cup of water. It was slow, I had no one else in line, so I nodded a silent “yes” and proceeded to make her a cup of water. “Here’s your water,” I said as I lidded it and handed it to her. 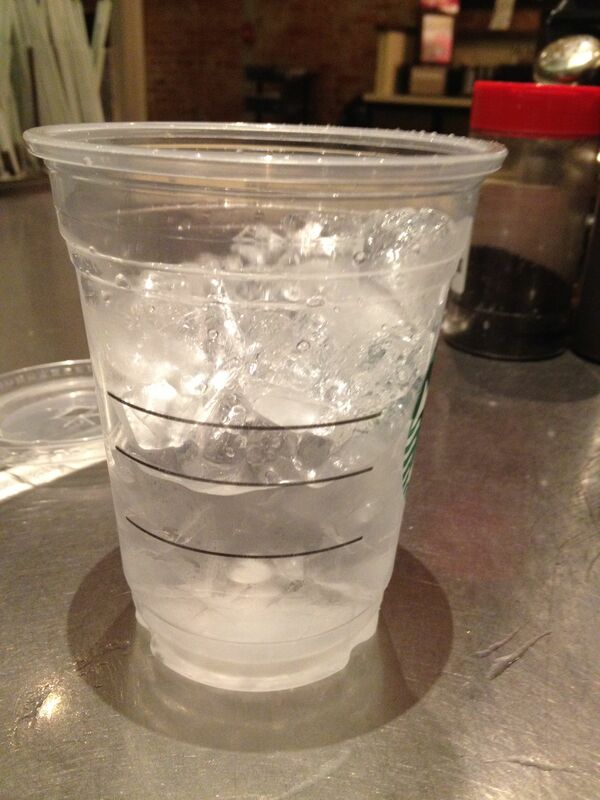 Before I could get even a few drops of water into the cup, the girl interrupted my filling the cup with water–“no no, that’s too much ice, can I have less ice? Sorry, I don’t mean to be picky. I used to be a barista.” As if her being a barista made this ridiculousness any better. I wordlessly dumped out half of the ice, and then, after a nod of approval from her, I began filling the cup with water for a third time. As the cup was filling, the “former barista” loquaciously informed me that she used to be a barista but quit because she was “coming to work still hung over from drinking tons the night before.” She also thought it pertinent to inform me that she often arrived at her former job with “tons of hickeys all over [her] neck.” It was in that moment that I realized that she was most likely insane. I lidded the cup, handed it to her with a forced smile, and watched her and her flowy pants leave the store. All that for a cup of free ice water. ← Steve Jobs was a great businessman. Hi I just did a search on other cynical blogs and I found yours. I just read a few of your posts and I think you’ve got a great writing style and great sense of humour 🙂 Subscribed!